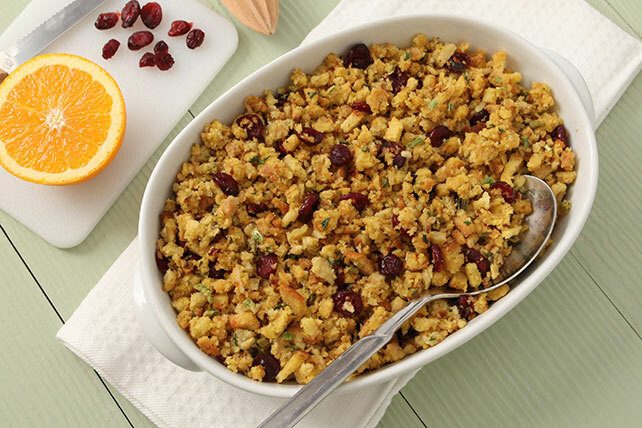 Make a tasty Thanksgiving stuffing with our Toasted Walnut and Cranberry Stuffing recipe! Guests will love the flavors in this walnut and cranberry stuffing dish. Bring water, berries and margarine to boil in large saucepan. Stir in stuffing mix; cover. Remove from heat; let stand 5 min. Fluff with fork. Stir in nuts. Substitute dried cherries or raisins for the cranberries. Sprinkle with chopped fresh parsley, sage or rosemary just before serving.